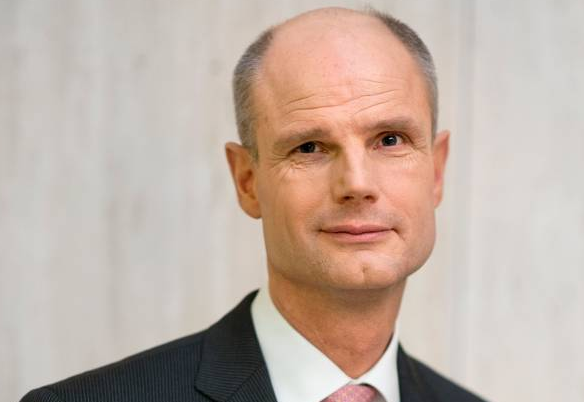 A safe pair of hands, that is the image Stef Blok projected in the wake of the ludicrous and ego-inspired dacha affair which scuppered his predecessor Halbe Zijlstra’s career at the foreign office. A smaller ego was required and when Edith Schippers refused, Blok, after being wooed for some time, agreed to step into the breach. Devoid of any foreign office experience but capable of blending in at various ministries, he seemed a safe choice. Diplomacy can be a tricky business. In the absence of a world government nation states are sometimes hard put to defend their interests. In a world dominated by contradictions it takes tact and reason to get results. Blok’s controversial comments came when he attended a private meeting for people home from a stint of working for international organisations. But no meeting should be used as a launching pad for theories with no empirical evidence to support them. Blok doesn’t seem to think so. In 2010 Angela Merkel said the multicultural society failed because integration should not only be encouraged but enforced. Blok’s comments went much further. He doesn’t believe in assimilation. According to him there are no peaceful multicultural societies where the original population survives intact. At the meeting, where the audience were still under the impression that diplomacy thrives on tact and reason, jaws dropped. Blok’s comments are neither tactical nor reasonable. No one will deny that tensions exist in multicultural societies but examples of peaceful coexistence abound. Many European countries have issues to do with ethnicity but are largely peaceful. The same holds true for countries in Africa, Asia, South America and Oceania. For a Dutch citizen with a foreign background who is trying his utmost to find a job, Blok’s comments could be construed as not very encouraging at all. The work of our diplomats in peaceful multicultural countries won’t be made easier by them either. Had these comments come from Emmanuel Macron or Theresa May MPs they would have been called to account by their national parliaments forthwith. In this country written questions were submitted by the PvdA. Blok’s comments have other, potentially worrying implications. If there is no such thing as a peaceful multicultural society some might think it a good idea to promote a homogenous society. Regulation of the influx of immigrants makes sense but what to do with citizens with a foreign background? Blok seems to be embracing the integration pessimism ventilated by the PVV and Forum voor Democratie while ignoring the 2016 annual immigration report by CBS which sees much to be optimistic about. Besides, the alternative of a homogenous society comes with its own set of problems. In Japan, for instance, the realisation is dawning that the lack of cultural diversity may not be such a good thing after all. The salary man phenomena, where people dedicate their entire lives to a single company at the expense of their individuality, may have turned Japan into an industrial giant but at the price of much-needed creativity and innovation. International businesses don’t opt for international teams to develop new ideas and products for nothing. The power of diversity is a given in the world of business. Apple, Google and Intel were all founded by immigrants or the children of immigrants and businesses know it. Blok went further still. He called Suriname a failed state and as if that wasn’t enough he blames this on the ethnic diversity of the country. There is much that can be said of Suriname and not all of it good but its government is successful in providing the population with the basic needs, hardly the hallmark of a failed state. Politics is indeed divided along ethnic lines but the tensions between groups seldom erupt into violence. Then Blok turned his attention to eastern Europe. These regions are unlikely to take in refugees, he claimed. He is probably right, but this cabinet’s policy is nevertheless aimed at this being the case. Blok not only broke up the integrity of the cabinet policy but also undermined the EU’s bargaining power when it comes to negotiations with eastern Europe. The job description of a foreign minster does not include undermining diplomacy and the ambitions of minorities. Fortunately the minister backtracked on his comments. But the damage, both here and abroad, has been done.